MetaStock DC (Daily Charts) is end of day trading technical analysis for traders who do analysis after markets close. note: You will need to subscribe to Refinitiv DataLink data service. Instead of purchasing this software outright, you can also subscribe to it. Your first month is free! Once you purchase the software it is yours to keep. However, before you purchase MetaStock Daily Charts you will need to decide which datafeed you will be using. MetaStock works exclusively with Refinitiv DataLink to provide your MetaStock charts and analysis with industry-leading data that's accurate, clean, and dependable. So you will now have daily data available sooner after the close of the markets. 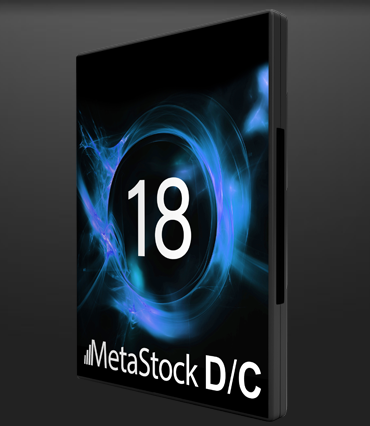 This brief video presented by Scott Brown, President of MetaStock, discusses the MetaStock FORECASTER, available in MetaStock XIII.